Alright I will admit it. I am a major closet Ever After High fan. I have watched all of the cartoons. I drool all over the dolls (but I have no daughters to blame for buying any- so I can only drool from afar). I wish that this series would have been around when I was younger- I absolutely LOVE it! And then I saw that they were doing a tie in novel. I saw that the author of that tie in novel was Shannon Hale. It literally was like a dream come true for me. I absolutely loved this book. It was quirky, it was fun, and it was so creative! I loved all of the side stories and fun adventures. I know that there will be more books in this series. I have absolutely nothing bad to say about this book. 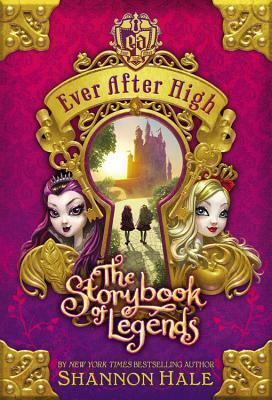 If you are a fan of fairy tales- you really need to find this book, find this series, and then enjoy! This sounds awesome! I am 31 years old, and this should probably not interest me, but you know what? I don't care! It does. It just sounds too incredibly fun to pass up!